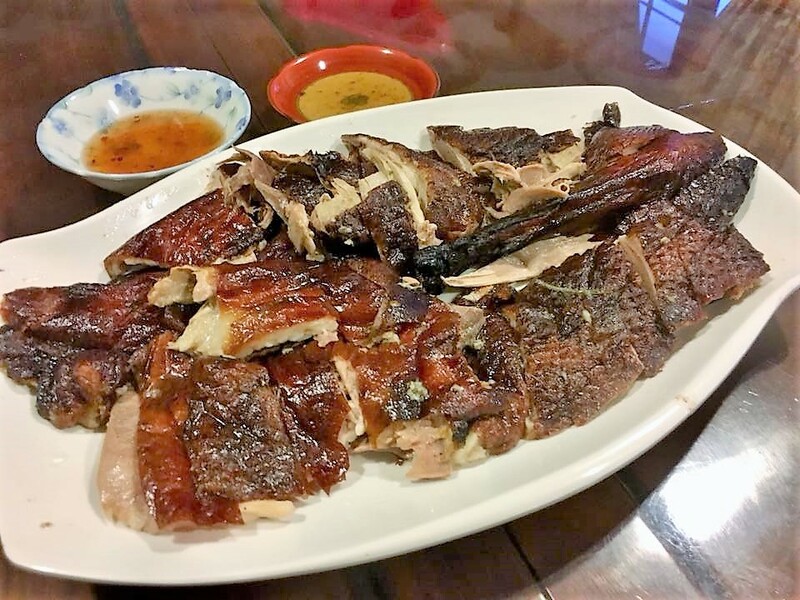 we had roast goose twice, at yat lok stanley street & also 鹅皇馆 opposite metropark mongkok hotel, during the recent hong kong/shenzhen trip 14-18.1.2018.
on the last day 18.1.2018, our flight was 7.55pm. 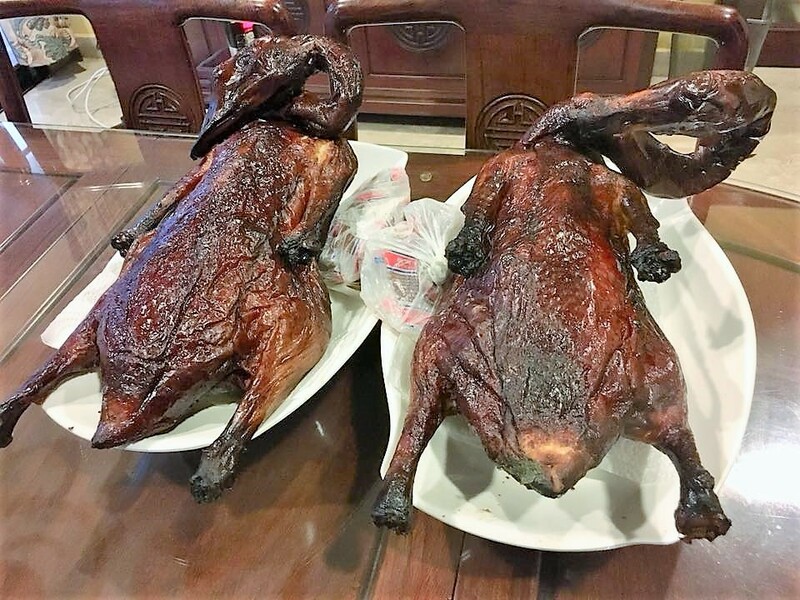 i decided to buy 2 roast goose back, HK$380 each, about S$65 each, quite ok….sis bought a whole wax goose HK$188. i gave 1/2 to my brother YS, and 1/2 to my OPS bro WM, and kept 1 roast goose for my family. transportation was a problem. i decided to handcarry up the plane like i did last time. maybe as a result, my wrapping were not good like last time. another problem i now recall was that last time, i left the duck open to air in the plastic bag. this time they were wrapped up, so there was condensation & the skin was moist when i finally reached home & unpacked. 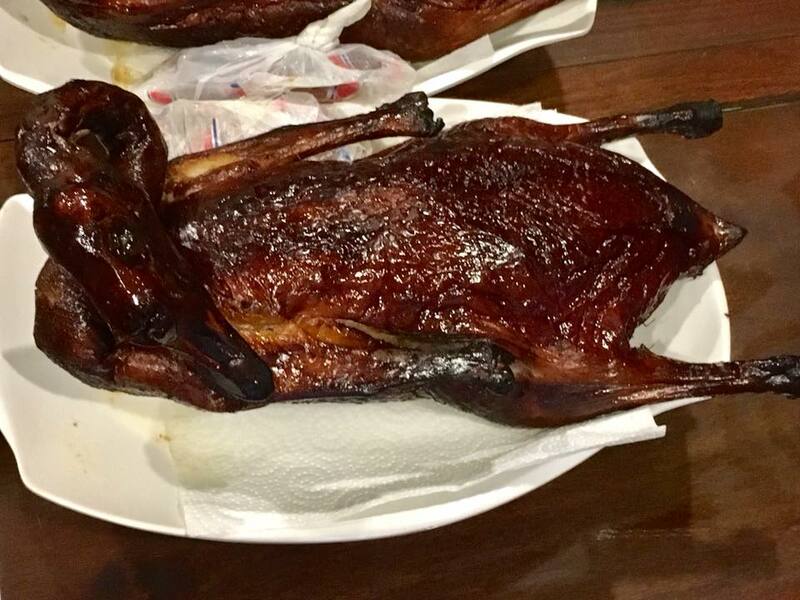 another problem was last time WM & I bought 1/2 roast goose each. this time they were whole goose & the shop forgot to remove the metal pin. this caused problem at the security, and was quite messy as i had to unwrap & remove the pin & it was all oily & messy. 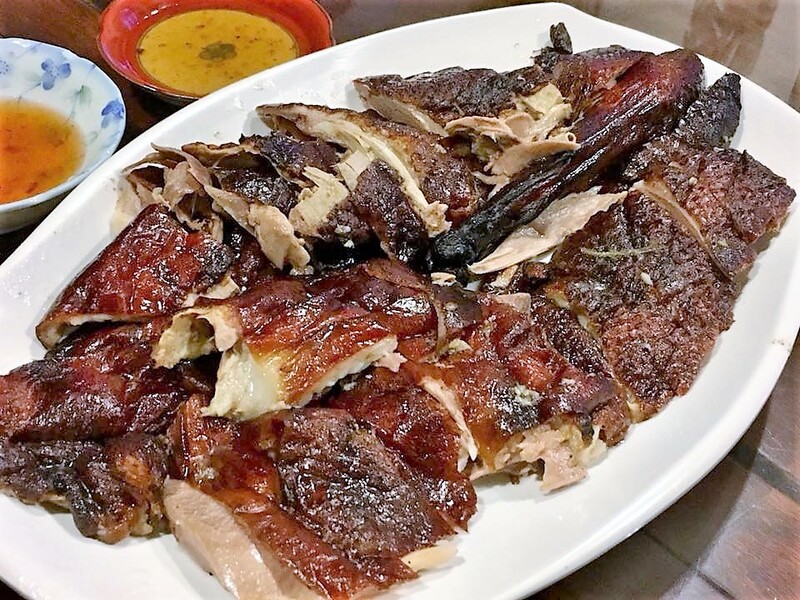 last time i arrived home early & we ate the roast goose as late supper on the same day. 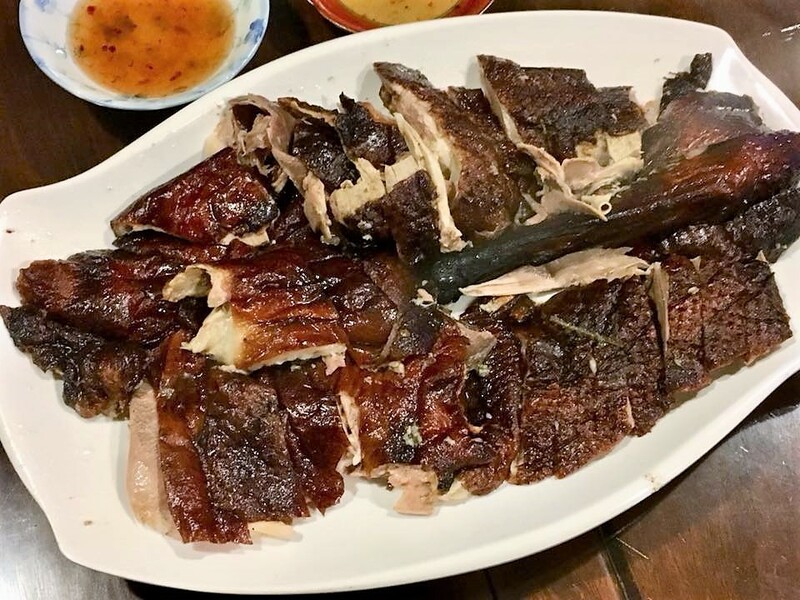 goose was still very tasty & flavourful (WM actually ate it a few days later & heat it up) …but really not the same without the very crispy when served in hong kong. for the evening, family gathered for 5pax dinner. 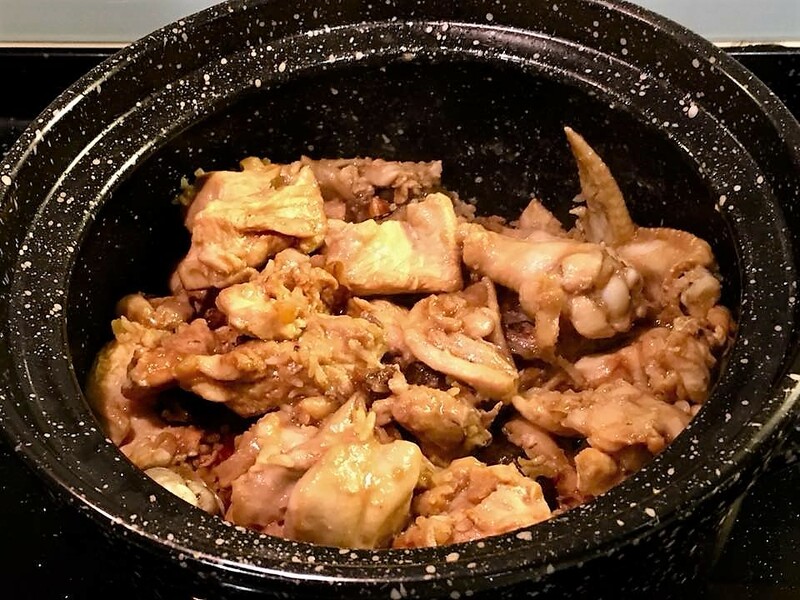 so i made claypot chicken rice to serve with the roast goose. 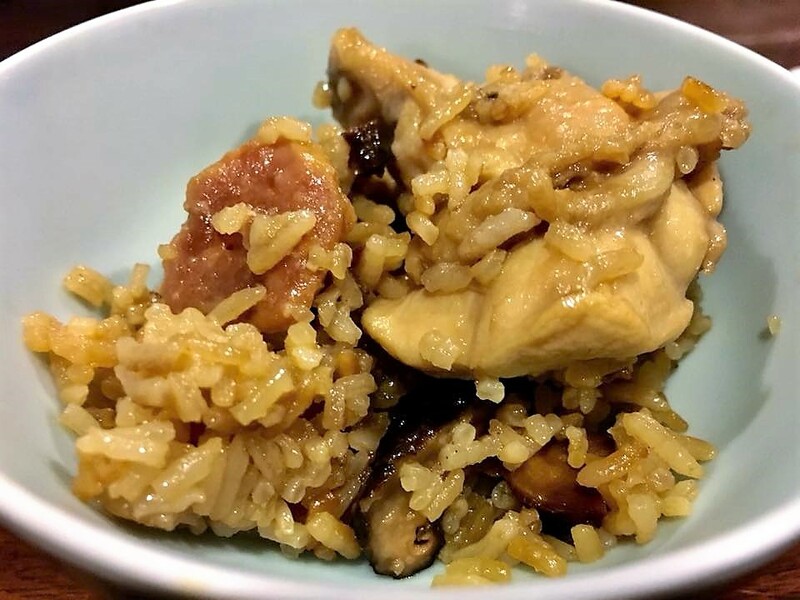 my usual very good standard claypot rice. 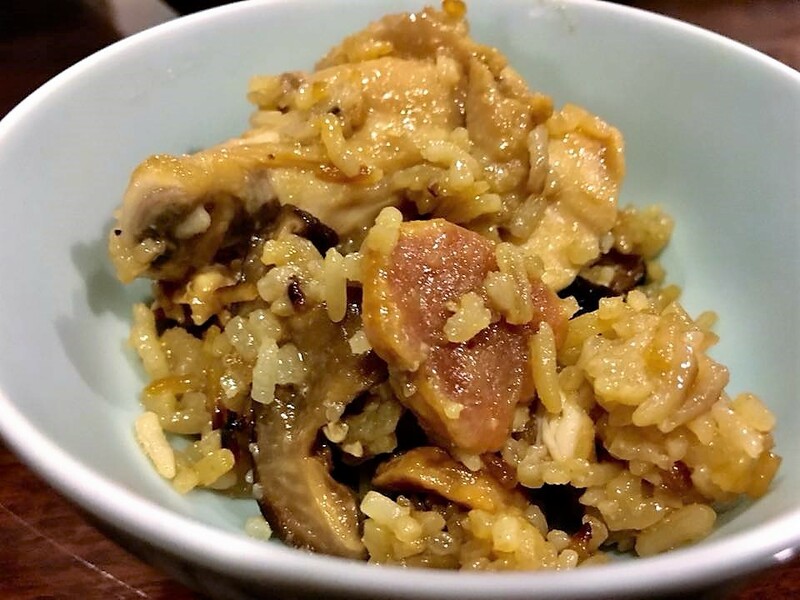 very flavourful, and tender, moist & tasty chicken, daughter love the chicken. 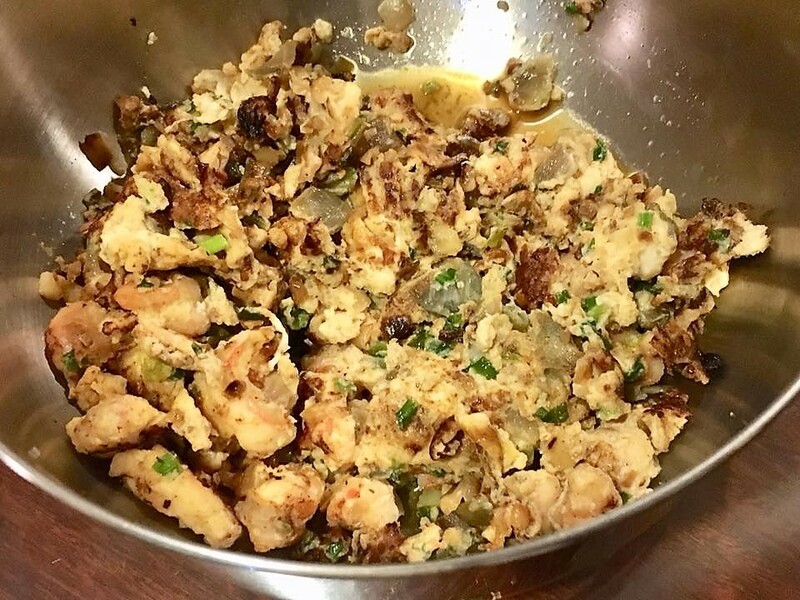 wife made her prawn egg omelette, which everyone likex. 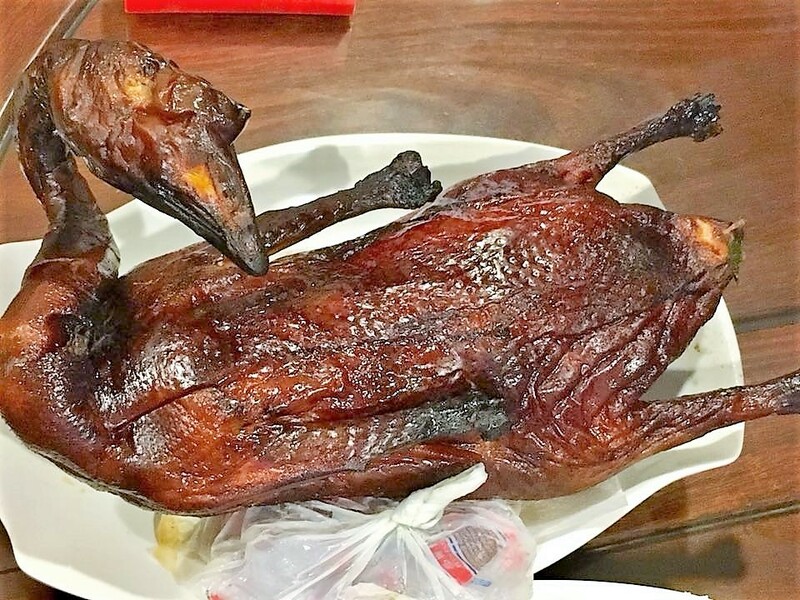 i think it is worthwhile to bring back the roast goose. it was only S$65 & some coffeeshop or stalls roast duck here already going for like S$42..
but best if hand carry with double layer heavy duty plastic bag (oily), and kept it open to air…a broad tote bag would be convenient. 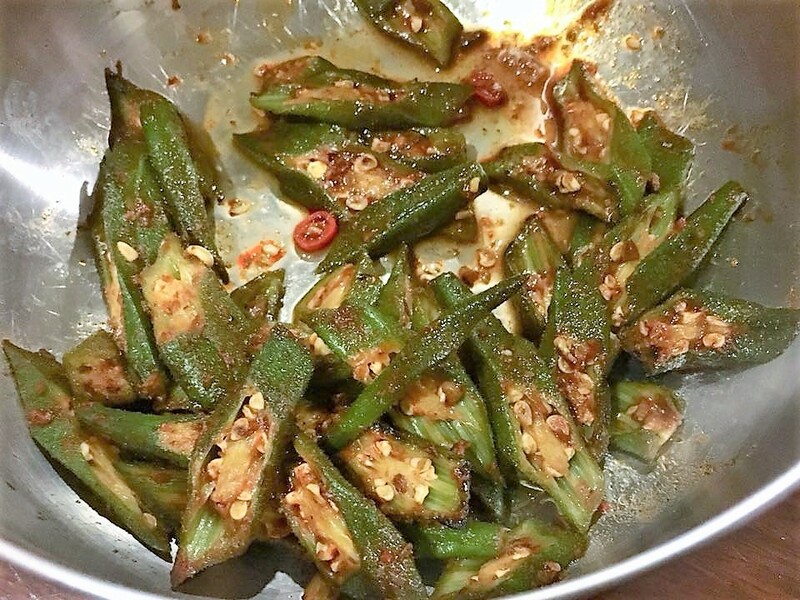 This entry was posted in Buon Appetito!, Homegourmet & Gatherings. Bookmark the permalink. Hello. This is the production crew of from Korean broadcasting station, jtbc, jtbc2. I am writing this comment to ask your approval for the copyright of this photo for the 13th episode of the program. The source of the photos will be indicated. Please let me know if it is possible to use them for the footage. Thank you.